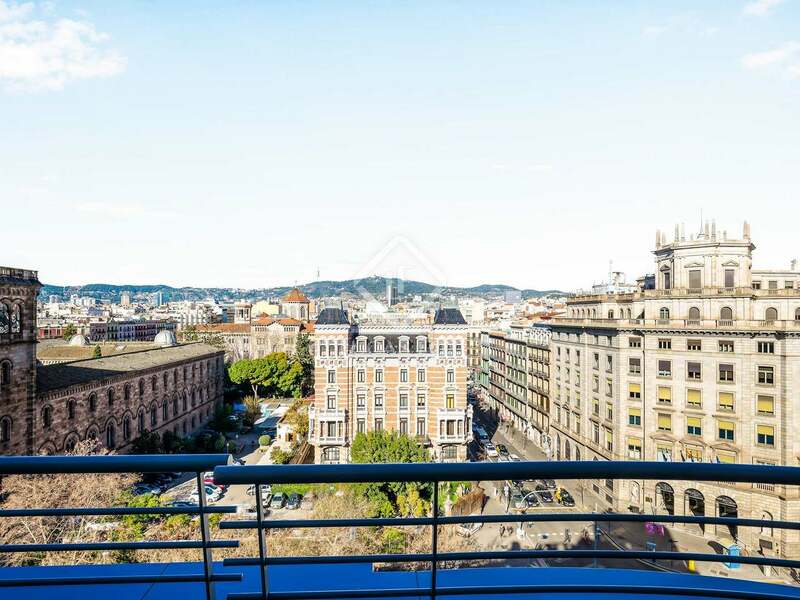 This property is part of the Gran Via 604 Penthouses. 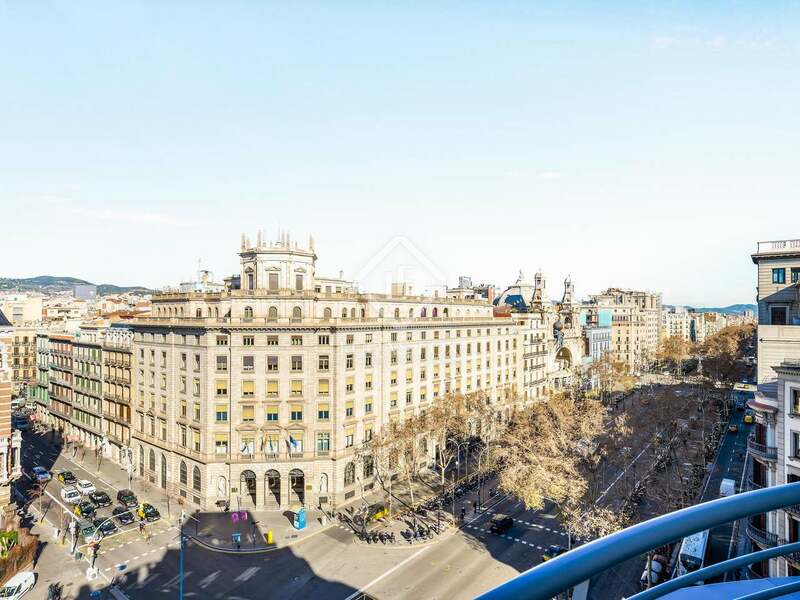 A new development of exclusive penthouses in a landmark building on Gran Via street, with views over the prestigious Paseo de Gracia. 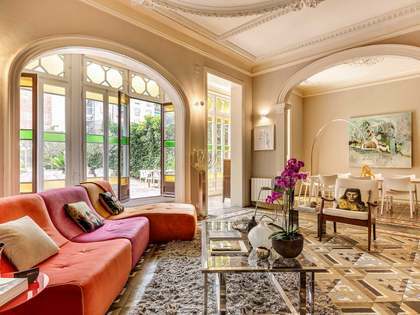 Remarkable triplex penthouse for sale in an impressive landmark building on the corner of Gran Via de les Corts Catalanes and Carrer Balmes, in the Eixample Left district of Barcelona. 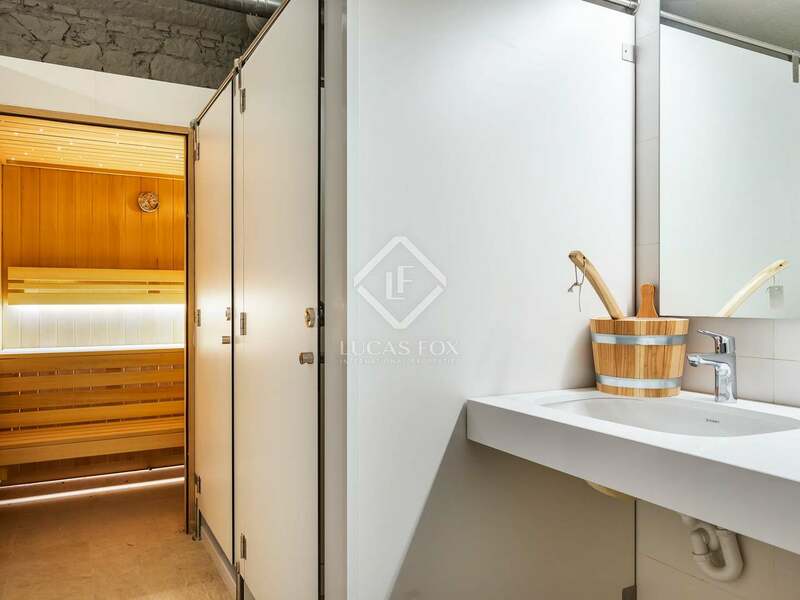 This particular property covers a built area of 127 m² and is organized over 3 levels. 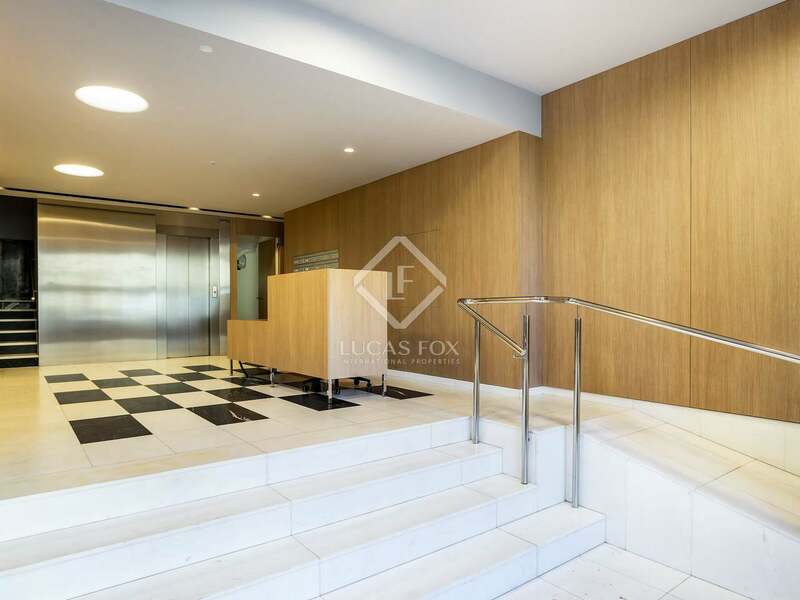 On the entrance level we find the kitchen, living room, guest toilet and bedroom with ensuite bathroom. 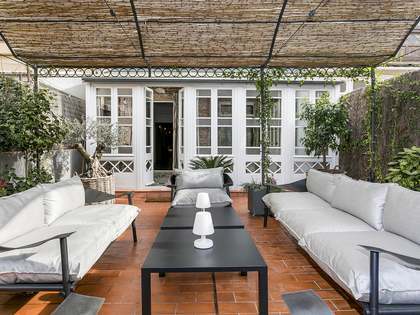 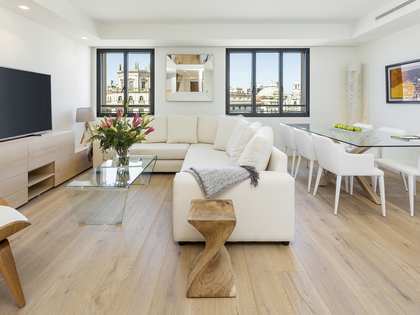 The living area leads out to a fabulous corner terrace overlooking Balmes and Gran Via. 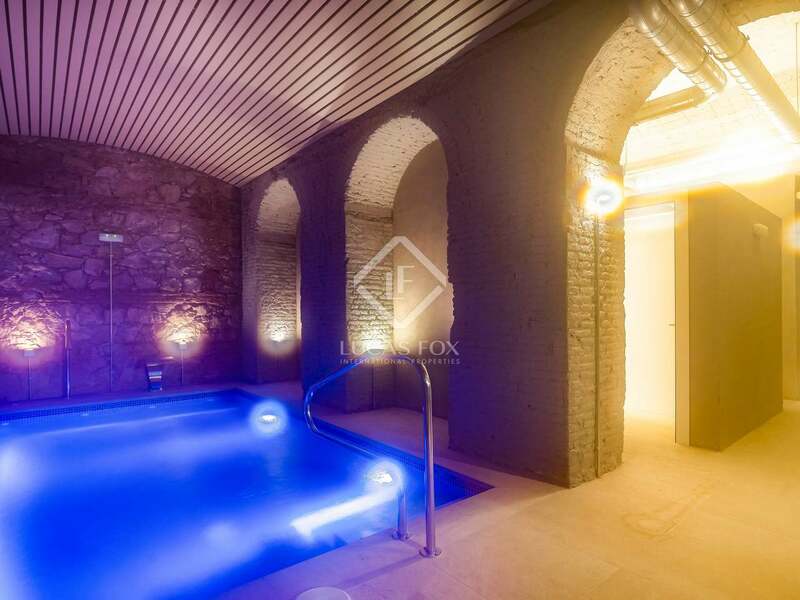 On the second floor we find 2 bedrooms and a complete bathroom. 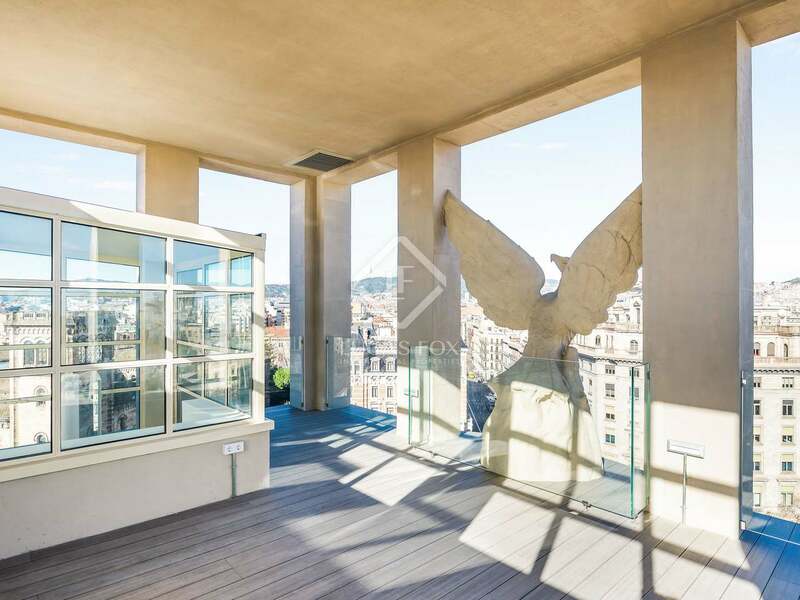 The third and final floor offers a truly magnificent terrace with a glass barrier, fronted by the phoenix sculpture that crowns this building. 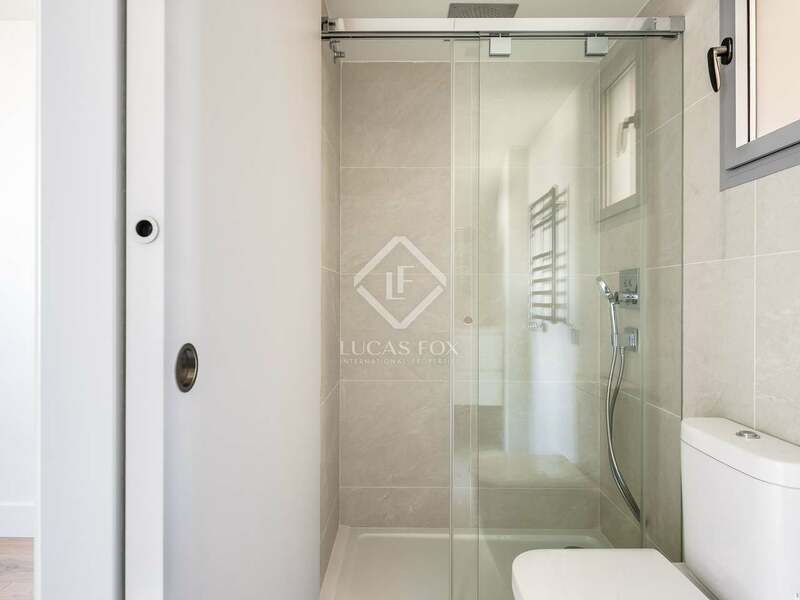 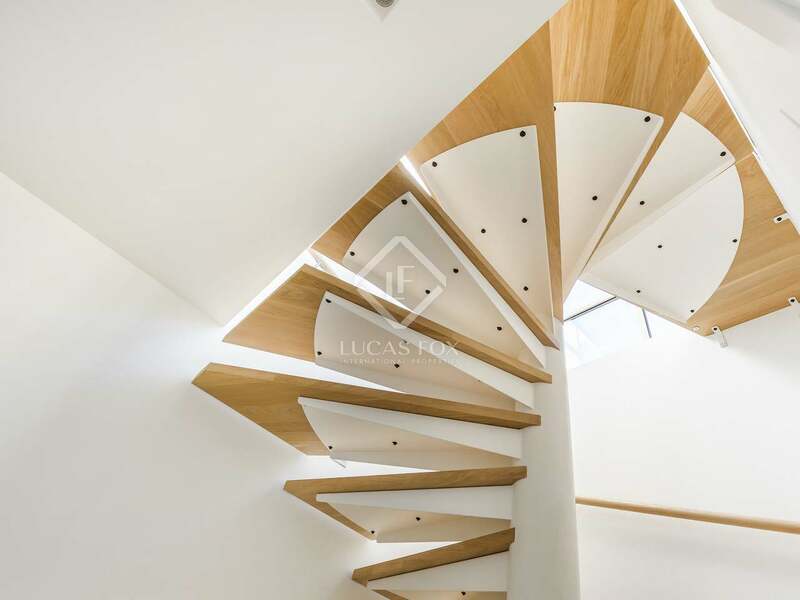 Fully renovated with neutral interiors and the highest quality finishes, this penthouse has been designed with comfort and elegance in mind and is delivered with a fully equipped kitchen and bathrooms. 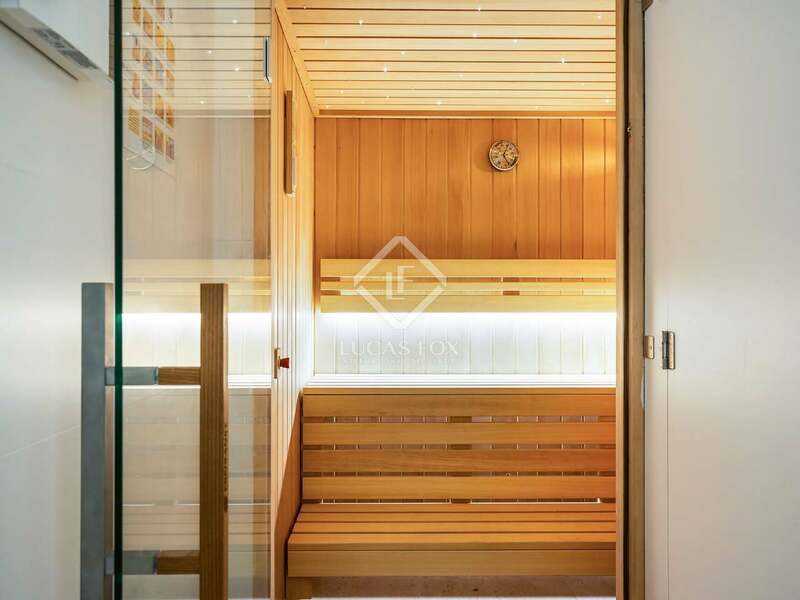 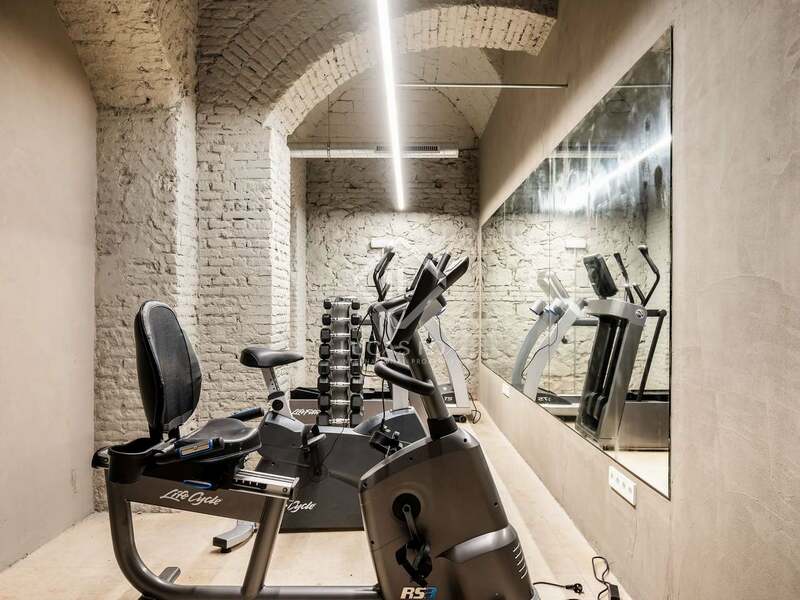 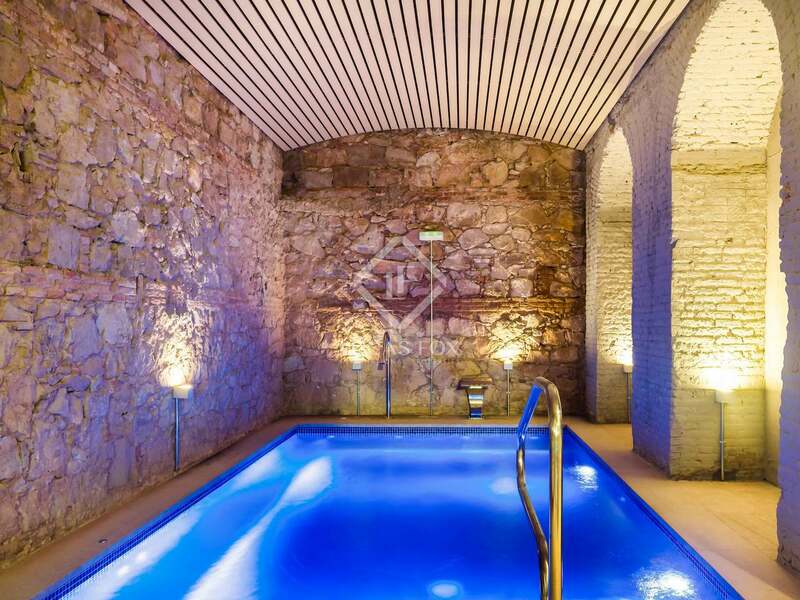 In the basement of the building an exclusive communal gym, spa and pool are found; the perfect place to unwind after a long day in the city. 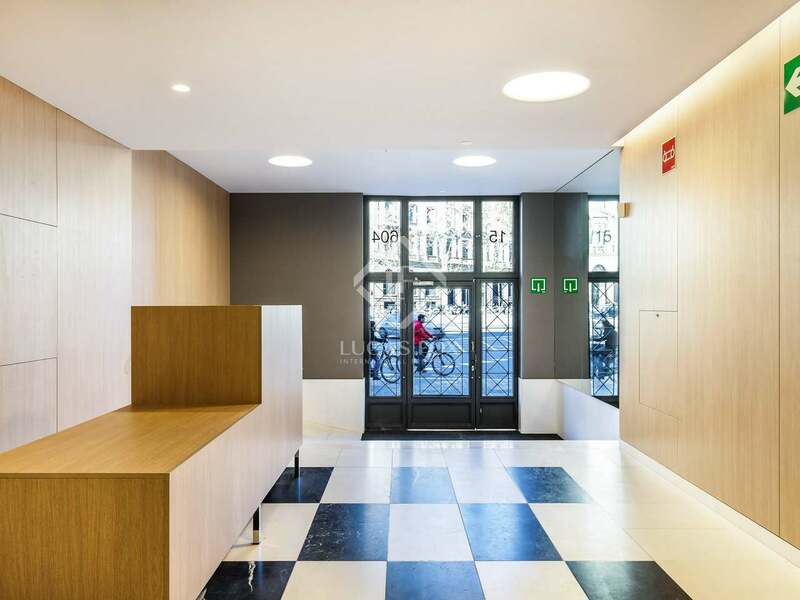 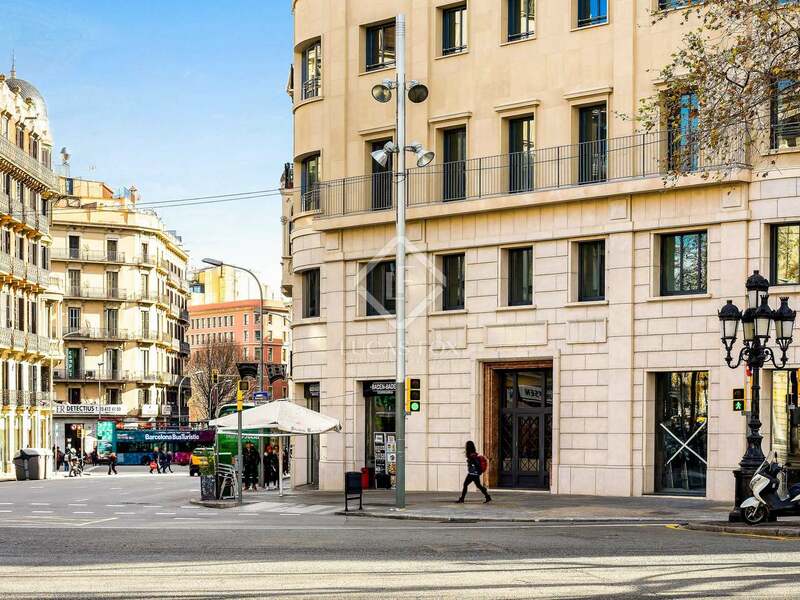 This new development is located in an emblematic building on Gran Via de les Corts Catalanes, on the corner of Carrer Balmes, in the Eixample Left district of Barcelona City. 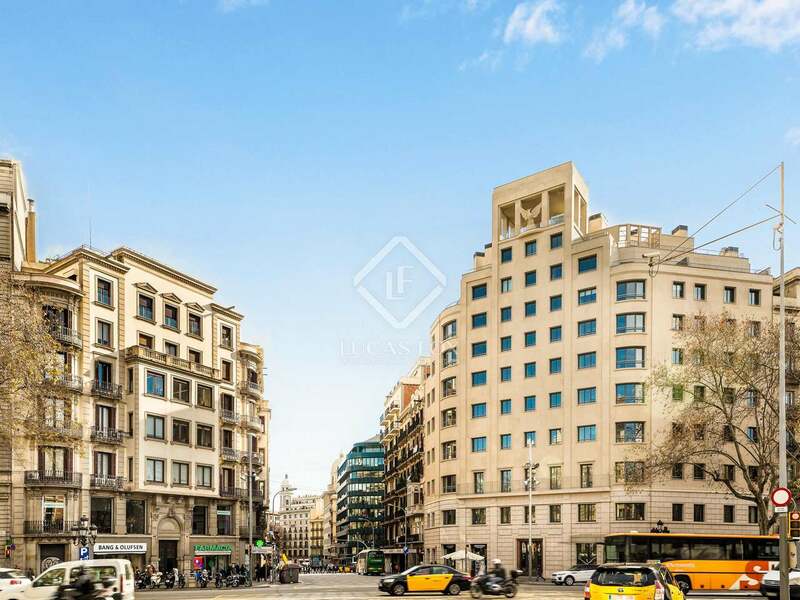 This area is home to famous squares and avenues such as Passeig de Gracia, Rambla Catalunya and Avinguda Diagonal. 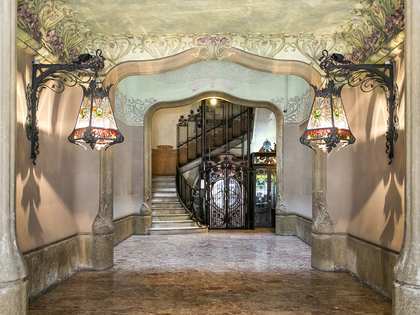 Here we find significant buildings including Modernista masterpieces by Antonio Gaudi such as the La Sagrada Familia, Casa Batlló or Casa Milà-La Pedrera. 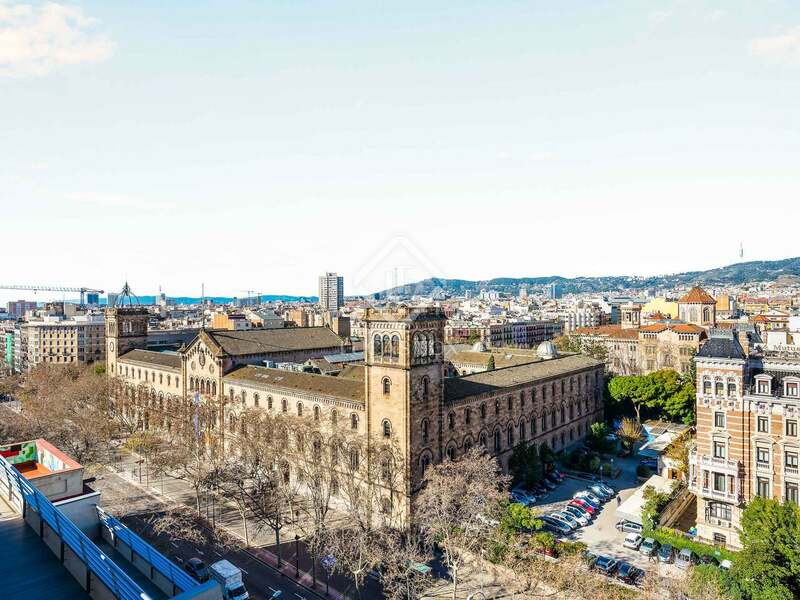 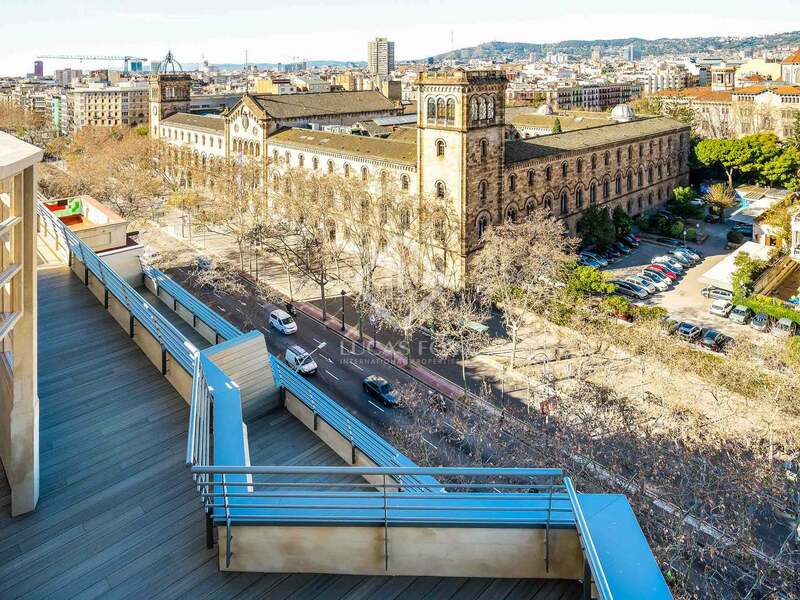 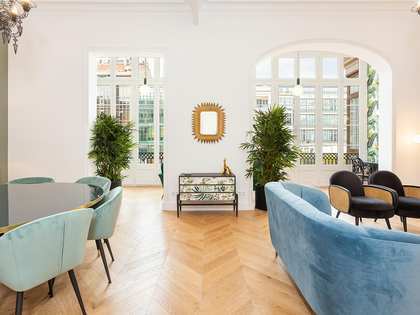 The Eixample district is renowned for being safe and peaceful, peppered with designer boutiques and artisanal cafes, it is a very pleasant place to settle in the city and a popular choice with both local and foreign investors.